and both side sills of the car. 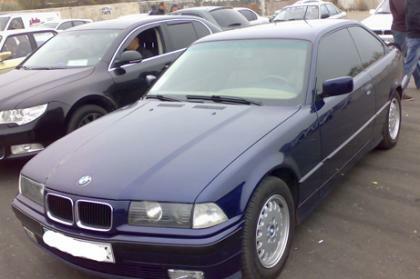 Do not buy BMW E36 in case of any troubles in that places. Car body is rather weak in this car. All car parts you can repare but car body is a real headache. Don't be afraid of the engine problems. Most of them can be easily fixed. Even the entire engine can be removed and put another one instead. The cost of used engine (in good state) of the BMW E36 is quite low. Inspect all joints, gaps. They should be symmetrical. Otherwise, the machine could be in an accident. Different troubles with car body will take place in the nearest future. Inspect the tires. Tread wear should be the same otherwise there is a danger of violation of the body geometry. Although probably just a problem with the suspension. Check the operation of all electrical compartment. Everything is in order. Great. Let's try to turn the ignition key. The engine is turned on. Inspect the panel should not burn any unnecessary diagnostic indicators. Listen to the engine. There should be no strange sounds and noises. Pay attention to the arrow of a tachometer, the rpm should not float on the neutral. Go out and raise the hood. The engine should be dry and clean, but not fresh washed. Inspect all the leaking oil seals wear. Now check the chassis and transmission. We leave on a road section, when the switching gear boxes draw attention to the jerks and knock. By choosing the section of the road, move a couple of holes in, and listen to the suspension. Bumps and noises should not be. Since BMW E36 they are fairly cheap car, then there is no reason to watch anymore. You can buy the car.